We do a lot of banners for trade shows. Our 100″ printer gives us the ability to print full 8′ height and just about as long as you need to go. We print on a matte finish vinyl that gives bright, accurate colors without giving you reflection trouble. 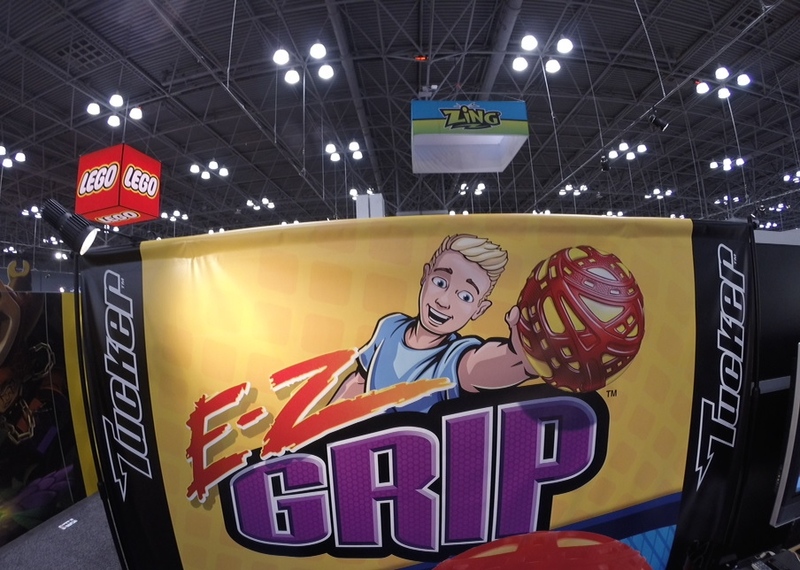 We did this banner along with several others for Tucker Toys for their booth at the NY Toy Show. In this case, we gave them a 3″ pole pocket for hanging, and black grommets on the bottom to keep them taut. Yes, we have grommets in brass, stainless, and black! This entry was posted in Trade Show Graphics and tagged booth banners, show booth banners, toy show banners, trade show banners. Bookmark the permalink.